THE HISTORY OF FOOTBALL has seen a litany of great managers come from the Italian peninsula since the earliest days. These strategic thinkers and innovators of calcio have taken their game across the world and affected it in many places. A long list of influential managers that come from Italy would rather obviously include Helenio Herrera, Marcello Lippi, Arrigo Sacchi and Carlo Ancelotti. It’s a shame, then, that the master of the Catenaccio system, Nereo Rocco, is often omitted from this list. The city of Trieste has a long history of change; empires have marched through her gates and claimed the city as their own. Even today the city is split between an Italian zone and a Slovenian. In 1912 the city was part of the Austro-Hungarian Empire, during which time a special man was born, Nereo Rocco. El Paron – The Master – loved Trieste and was fond of returning to his home city on many occasions throughout his life, even though his career took him to so many clubs across the peninsula. Being Triestina in the early days of Italian football was akin to being from another country. The players were treated with less respect than their competitors from the large clubs in Torino and Milan. The city itself, wrongly considered an international city above a true Italian one, made it even more foreign to those purists, who scoffed at any Triestina. Rocco played for Trieste during the great depression, when wages were low and players were lucky to get their money at all in some cases. Many had to find odd jobs in order to pay the bills, even in Serie A. This was especially true at the small clubs like Triestina, where the fans may not have paid at all to attend the matches, and sponsorship was small and brought little funding to the club. After spending his youth with the Trietstina, Rocco went on to play for Napoli. Never a big star, Rocco was a highly focused player, noted for running back to the centre circle with his head faced down after scoring. Rocco considered football his business, and often there was little time, or point, to celebrate. The debate has raged for decades about who truly invented Catenaccio, which, among other things, added a free player called a libero to roam in the defensive area as an added measure to apply pressure against the attacking side, and later perform as an attacking playmaker after possession was turned over. Rocco is indelibly linked to his counterpart and rival Helenio Herrera, the legendary manager of Internazionale, who also deployed the catenaccio system to great success. Between these two behemoths of managerial excellence, they dominated the world of calcio for more than a decade in the 1960s and into the ‘70s. 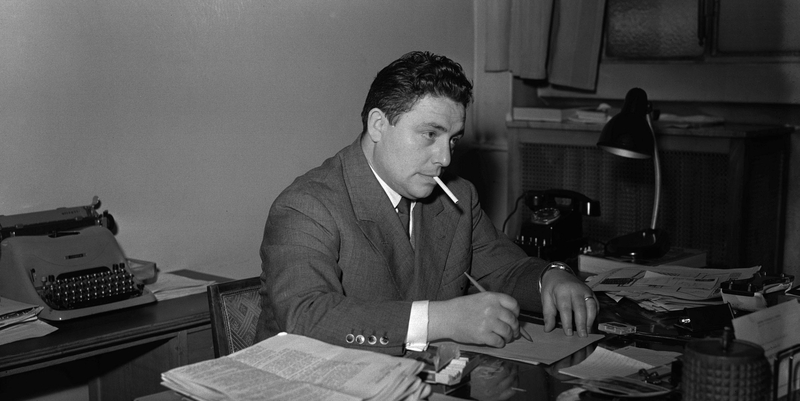 Unlike Herrera, who was as strict in his personal life as he was on the training ground, Rocco was often found after hours in restaurants and bars with the editor of Gazzetta dello Sport Gianni Brera, drinking and debating the issues of the day with ex-players and writers, who would stand up to the long nights of the El Paron and his court of football. Wherever Rocco managed he would find a suitable location to hold these nightly sessions; they became the ritual of his career, a way to validate his methods and to garner influence in the local press. Rocco began his Serie A managerial career at his local side Trieste, where he both played and managed in the 1947-48 season, the era of Il Grande Torino. Even so, this tiny club finished runners-up, 16 points behind the champions from Turin, just ahead of the club where Rocco would make his name, AC Milan. This was the best finish the club has managed to this day. Serie A was still recovering from the Superga air disaster – a plane crash that wiped out the famed Torino side of Valentino Mazzola and Egri Erbstein – when Nereo Rocco took charge of a small Venetian club in Treviso in 1949. Rocco was learning the tradecraft of management and needed to get some experience outside of his home club. The pressure of moving to Serie B was lessened and Rocco was able to learn the importance of leading men into the fray. Italy was still recovering from its role in the war and football was a distraction for many in a dreary existence. After two seasons of Serie B Rocco was ready to take on his home club once more. His return to Trieste was fraught with disagreement and anger with management of the club. Rocco was clearly becoming too big for this small corner of Italy; he wanted to build something and he needed a place to do just that. When Rocco took over the Biancoscudati they were mired in Serie B and had been languishing there for some time. Rocco instantly took to his usual work of creating a disciplined, man-marking side with the customary libero in the catenaccio system. In the remaining 11 matches, the side took 12 points and Padova were saved from relegation. The reputation of Rocco was growing. Padova enjoyed continued success under Rocco, with their greatest season coming in 1957-58 courtesy of a third place finish in Serie A. Unfortunately, success was only short-lived and Padova, struggling financially, were unable to remain in the lofty heights of the Serie A. In 1961, the famed manager of AC Milan, Giuseppe ‘Gipo’ Viani, suffered a serious heart attack. Even though Milan had lifted the scudetto, Viani knew he had to step aside and hand over the club to another manager. That man was Rocco. Rocco went to work immediately by securing the title in his first season at Milan. 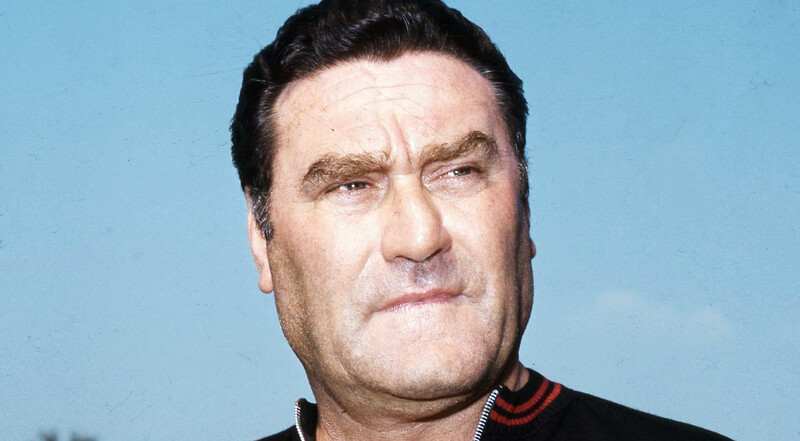 Despite being known as the true catenaccio master, his 1961-62 Rossoneri scored an excellent 83 goals in 34 games. Rocco approached the game in a modern manner, expecting his players to track their runners at all times and to be in extremely good physical condition. One player who didn’t last long with Rocco’s managerial style was English footballing legend Jimmy Greaves, who had come to Milan on a big contract and left after just 10 matches. 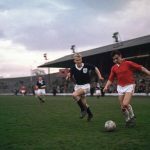 Greaves loved the pub life – often meeting with fellow Englishman Gerry Hitchens, who was at Inter at the time – and that didn’t sit well with Rocco. The ill-disciplined Greaves, at least in Rocco’s eyes, was sent packing back to England to become the first £100,000 player. With the departure of Greaves, Rocco needed goals, he looked no further than Boca Juniors and the impressive talents of Dino Sani. Sani, a strong central midfielder who would go on to make 63 appearances in three seasons under Rocco and provide 14 goals, proved to be the perfect replacement for the homesick Greaves. Sani himself would later become a revered manager in Brazil, crediting much of his success to what he learnt under Rocco. With the appointment of Rocco to the Rossoneri bench, a natural rivalry was born between him and Internazionale manager Helenio Herrera. Both managers were adherents to the catenaccio system, however Rocco was considered the more traditional believer. Fans of Italian football at the time considered Rocco’s Milan to be the more rigid in the defensive phase of the game, playing with the firmest bolted door in football. Captain and Azzurri star Cesare Maldini, also a native of Trieste, was well on his way to becoming a legend in Milan when Rocco took over. It was Maldini and the golden boy of calcio, Gianni Rivera, that led the Rossoneri on the field. Rocco was the undisputed leader in all other matters. Often seen raging on the sidelines, Rocco would berate the referees, humiliate the younger players, and make life miserable for anyone who got in the way of his side winning the match. After the immediate success in domestic football, Rocco’s team reached the final of the 1963 European Cup. Their opponent was the mighty Benfica, with the elegant and powerful Eusébio, considered by many to be the world’s second best player after Pelé. A battle of titanic proportions was set up for Wembley stadium. No Italian side had ever lifted the European Cup, and since the loss of Il Grande Torino, no side had looked as promising as the Milan of Nereo Rocco. The match was an instant classic – a battle of philosophy and will. Catenaccio taking on the all-out attack of Benfica. The game was dominated in the first half by the strength of Benfica and an early goal by Eusébio. Milan were able to hold their defensive shape after the early breakdown, before the great Altafini to score two goals in the second half to bring the European Cup to Italian soil for the first time in history. Rocco’s name was now cemented in calcio history. Maldini, Rivera and Altafini all became international sensations and domestic heroes, transcending even club rivalry at times. Altafini had topped the European Cup scoring charts with an amazing 14 strikes. Maldini, the captain, was now a Milan legend, joined by the brilliant midfield play of Rivera. Catenaccio was the way, and Rocco was its guru. After Rocco’s success in the European Cup, he decided to move to the team that had been destroyed in 1949 by the Superga air disaster, the ill-fated Torino – a club that had never recovered from that horrible disaster. The once mighty club was now reduced to mid-table mediocrity with little ambition and less luck. Rocco was just the man to turn things around. An especially good motivator, he spent a great deal of time with his players; whether on the pitch or in the pub, he would teach them, cajole them, humiliate them, whatever it took to get the absolute best performance out of each and every one. He was the ultimate one-on-one coach. Rocco studied the strengths and weaknesses of every opponent in great detail, and any small advantage he could find was to be attacked relentlessly. Finally a manager had come to Torino with enough energy and powers of persuasion to build a winning side from the ashes of Superga. It had seemed as if no-one dared unsettle the ghosts of that great team by trying to win, and the entire city was in a cloud of mourning for a lost ideal. That was until El Paron knocked down the status quo and awakened the slumbering beast of Filadelfia stadium. It was Orfeo Pianelli, the newly-appointed president of Torino, who had convinced Rocco to take over. Pianelli had also brought in the great “Granata Butterfly”, Gigi Meroni. Together, Meroni and Rocco went on to win the Coppa Italia in 1967 and finished in third place, their best since the days of Valentino Mazzola. Sadly, Meroni was killed while crossing the street after a match against Sampdoria in the fall of 1967 and Torino again failed to recover. After his resounding success at Torino, Rocco was once again brought in to coach Milan. Rocco’s second stint as manager of the Rossoneri was even more successful than his first. 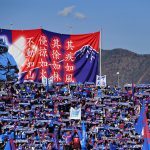 The team had become a consistent winner in Serie A and the rivalry with Internazionale, and their manager Helenio Herrera, was in full swing again. This period was particularly fruitful for Rocco’s men as they lifted the Cup Winners’ Cup, a Coppa Italia, and enjoyed the greatest victory in Rocco’s career. At the end of the 1968-69 season, there was more than just talk of men landing on the moon later that summer and more than the Vietnam war raging in south-east Asia: there was a football match of titanic proportions taking place at the Santiago Bernabéu in Madrid. The final of the European Cup. It was the Rossoneri of Milan against the mighty Ajax of Amsterdam, led by the legend himself, Johan Cruyff. Rocco’s Milan had conquered three rounds leading up to the final. Dispatching Malmö 5-3 on aggregate in the first round, Jock Stein’s Celtic awaited Milan in the next. A tight affair in both legs saw Milan record a 1-0 victory at home courtesy of a Pierino Prati goal and advance in place of the Glaswegians. Their next opponent was the defending champions Manchester United, led by the legendary Matt Busby, who had announced earlier in the season that he would retire at the end of the campaign. The expectations, as they had been during the previous round against Celtic, were that Rocco’s men would not be up to the task of dispatching the reigning champions. The first leg was held in front of 80,000 raucous fans at the San Siro. Milan registered two early goals, one from Brazilian striker Angelo Sormani and another from Swedish winger Kurt Hamrin. Two goals were all it took for Rocco to shut things down and play keep ball against Busby’s boys in the second half. It was Old Trafford for the second leg, and what would turn out to be Busby’s final appearance in the European Cup as manager of Manchester United. The two-goal lead held until late in the match when Bobby Charlton got one back for Manchester United. It was too little too late for the Englishmen, and with the win Milan were headed to the final. Much has been written about this iconic final and the matchup between catenaccio and totaalvoetbal. It seemed as if a crowning of the new Dutch system was in order, and its most prolific master, Johan Cruyff, was on the pitch to make the world pay attention to the new order. The side was managed by the legendary Rinus Michels, whose own ideals had given rise to the success of totaalvoetbal. A fear of Cruyff’s talents preceded the game, with many calling for Rocco to change his system to cope with the Dutchman. Rocco, however, held firm, and he made his players believe in the system, and ultimately believe in him. He was, after all, The Master, and the man who would take all the heat from the press. His players knew this and responded in kind, playing without the fear of failure and the pressure of expectation. Labelled by Brera as ‘Catenecciari’, Rocco was the face of this style and had to make it work at all costs. Rocco’s famously advised his players to kick everything that moved; if it was the ball, all the better. He also told one of his defenders to mark his opposition midfielder from the dressing room to the toilet. Milan would be giving Ajax no space to work in, no leeway to take the European Cup to Amsterdam. When the match started at the Bernabéu, there was so much media on the field that the kick-off was delayed by 15 minutes to get all of them cleared out. This was to be the first match widely distributed in colour on television, and the equipment was proving to be troublesome to the players and managers. From the start of the match it was clear who was going to dominate the match, with Milan’s possession taking hold and Ajax looking devoid of ideas in attack. In the eighth minute, Piero Prati got the first goal. Ajax seemed to be in utter shock. Prati followed it with a long-range strike on the 40 minute mark as Milan went in at half-time with a 2-0 lead. The second half was more of the same: Ajax simply couldn’t break down Milan. The Italians broke apart any attack that the Dutch champions attempted and countered each time. The great Johan Cruyff was effectively reduced to a bystander, unable to get near the ball. Angelo Sormani scored to make it 3-0 before Prati completed his hat-trick. Despite Ajax registering a consolation, Milan had emphatically destroyed Michels’ Dutch masters. Milan and Rocco were champions of Europe once again, and catenaccio was once again held aloft as the winning formula. As usual, Rocco proclaimed that “his beef” – his players – had done all the work, and he had just cajoled and pushed them hard enough to get them there. Rocco had reached the pinnacle of his career. The Italian schemer went on to mange the Rossoneri until 1973, picking up a win in the Intercontinental Cup later in 1969, a Coppa Italia, and another Cup Winners’ Cup. The win over Ajax, however, was the crowning jewel in the long career of El Paron. When Rocco left Milan after the 1972-73 season, he went to Fiorentina for a solitary campaign, however his methods failed to work in Florence and his appetite for management was waning. Rocco returned to Milan as Technical Director in 1977, with his name cemented in the long annals of calcio greats. Indeed, Rocco holds the distinction of being Milan’s longest serving manager, leading the northern giants on 323 occasions. Rocco died in his home town of Trieste in 1979 at the age of 66. Cirrhosis of the liver was noted as a contributing factor to his death, with his long nights spent drinking and dissecting football ultimately acting as both his zenith and his nadir. Rocco had, however, lived a full life – just the way he liked it – from small-town Trieste to Napoli, Torino and Padova, and his ultimate success and recognition in Milan. His triumphs and failures were of equal measure, and of equal importance in his life, and they contributed to his greatest highs as a manager. With a stadium named after him in his home town, Rocco’s legacy continues to enthral and engage fans of calcio the world over. As the king of catenaccio, and the man who brought European glory to calcio, he will always be remembered as a true mastermind of the game.